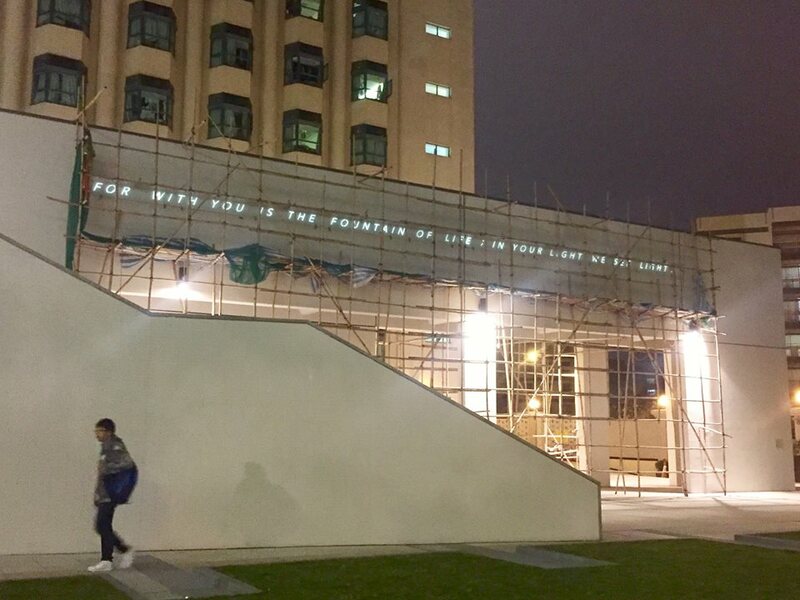 LOCATED AT THE NEW ENTRANCE PLAZA OF HONG KONG BAPTIST UNIVERSITY, THE WORK ECHOES AND REINFORCES THE CHRISTIAN BACKGROUND OF THE SCHOOL, IN PARTICULAR, THE MEANING AND EXPERIENCE OF BAPTISM. 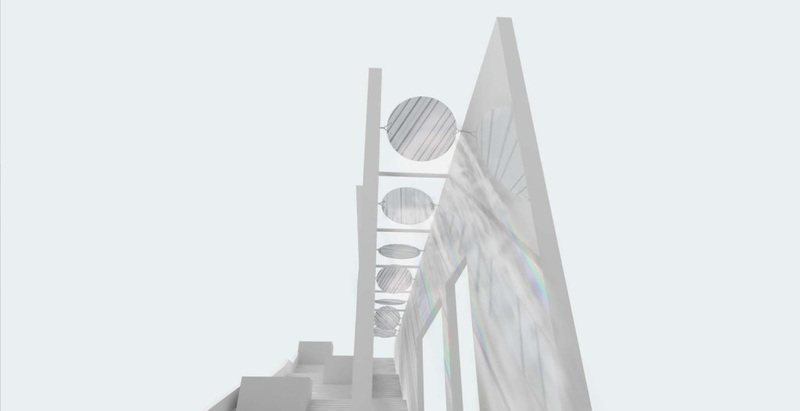 THE WORK COMPOSED OF 3 GROUPS OF INSTALLATIONS WHICH DERIVE FROM AN BIBLE VERSE, INTERPLAYING LIGHT BY CONFRONT IT WITH GLASS IN VARIOUS WAYS. "FOR WITH YOU IS THE FOUNTAIN OF LIFE; IN YOUR LIGHT WE SEE LIGHT." Occasional sunlight would reveal a bible verse on the metal plaque.